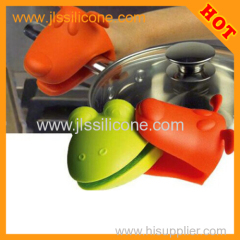 Jewelives Silicone gloves ideal for lifting hot pots, pans and lids, Jewelives Silicone Pinch Grip has a ridged inner surface to provide a secure grip for slippery, hot items. Grips stay cool even when gripping oven racks or cookie sheets! Made of dishwasher-safe silicone, their colorful designs add a touch of whimsy to any kitchen. It'll give you a safe and secure grip while protecting your hands from the heat. Welcome OEM or ODM order..
4. dishwasher safe and durable. 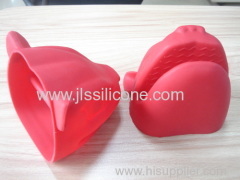 Silicone Glove Great product will give your a safe and secure grip while protecting your hands from the heat. 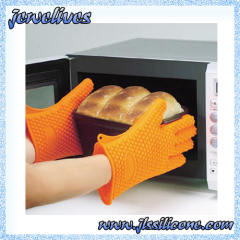 Jewelives Silicone Glove Great product will give your a safe and secure grip while protecting your hands from the heat. 3. various design and shape is available. 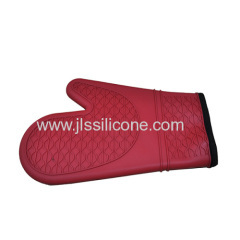 Group of Silicone oven mitts Glove has been presented above, want more	Silicone oven mitts Glove and Jewelives Silicone rubber Grill glove, Please Contact Us.